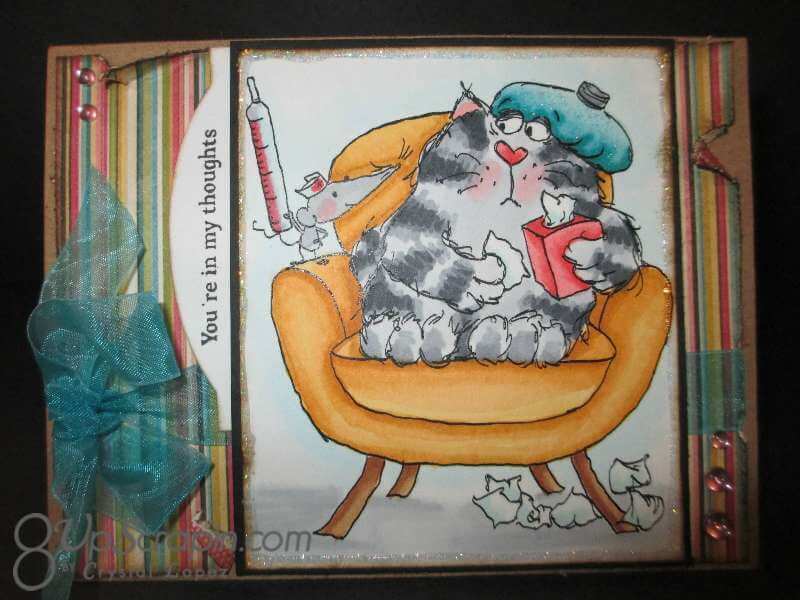 It’s Crystal here and today’s challenge for Chocolate ,Coffee & Cards is to have cats or dogs in your card. 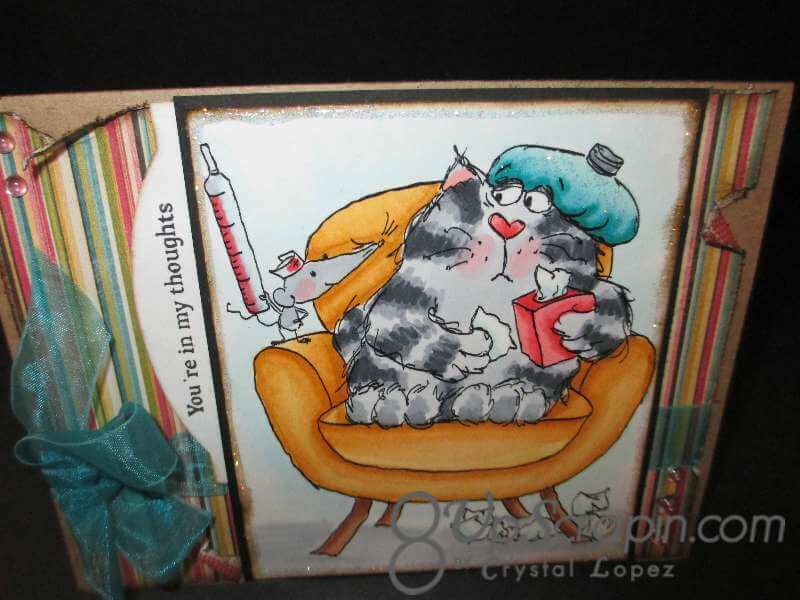 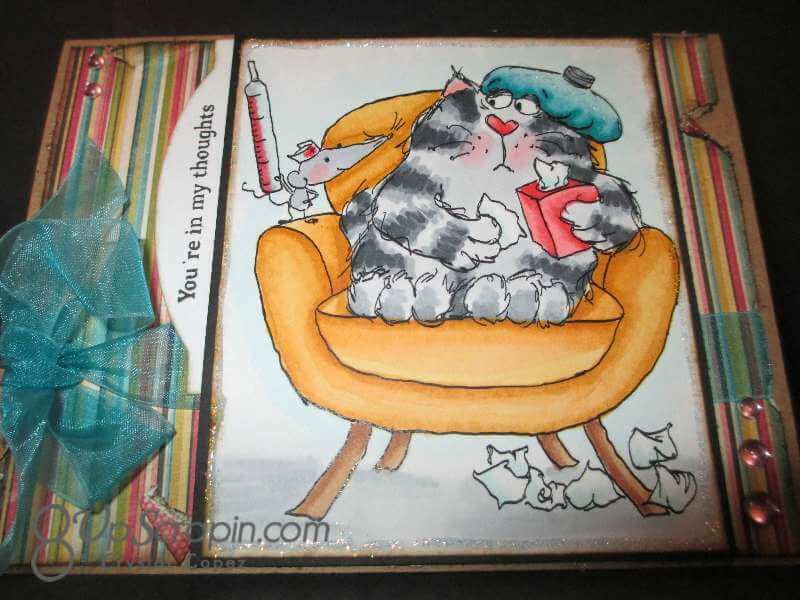 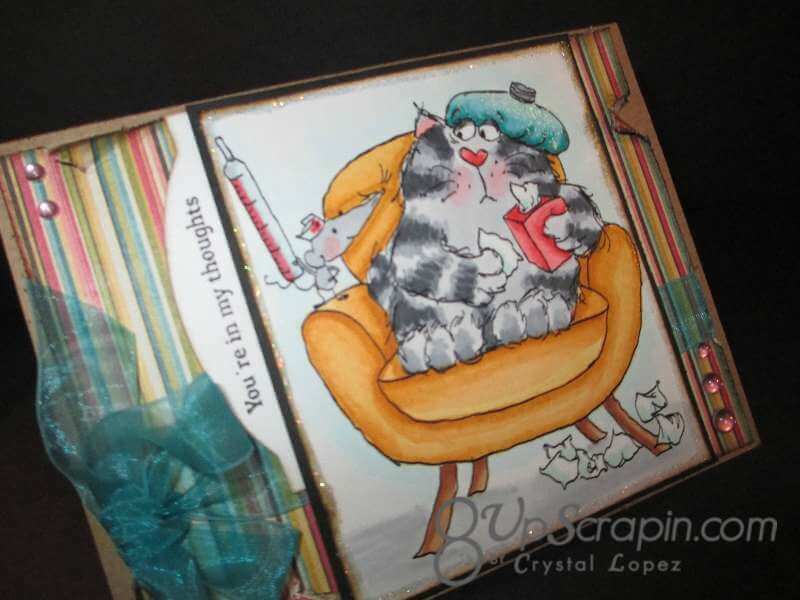 My image for this challenge is from Ladybug Crafts Ink and is called Cat Flu , they carry a whole line with this cat called Magnum .I love this cat and had to use him again,below is a link to my last creation with him. 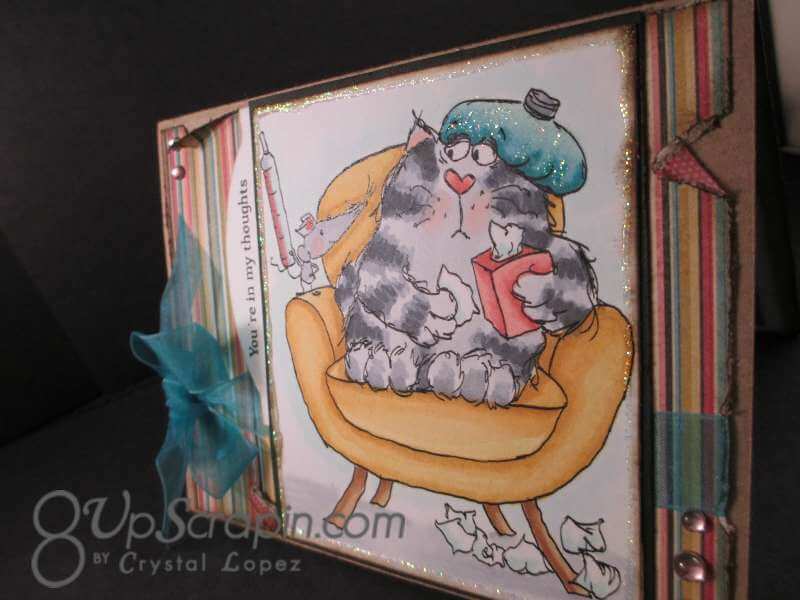 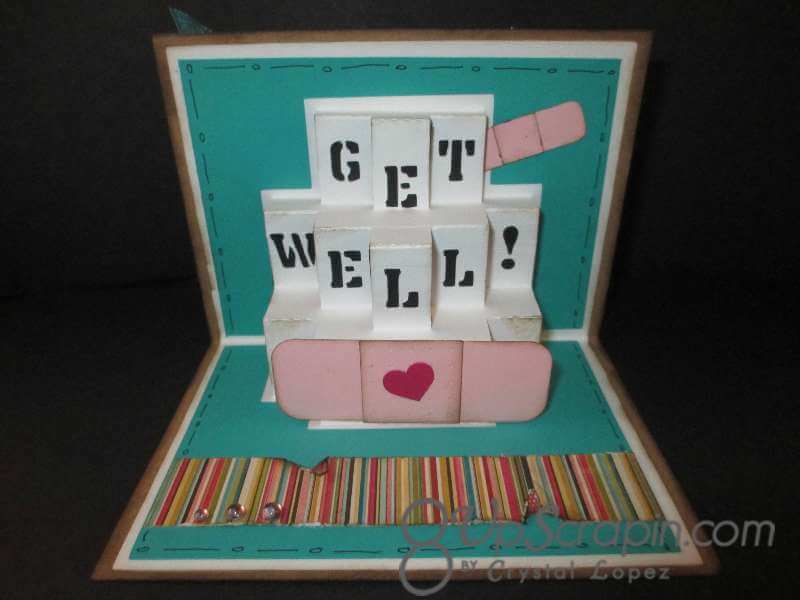 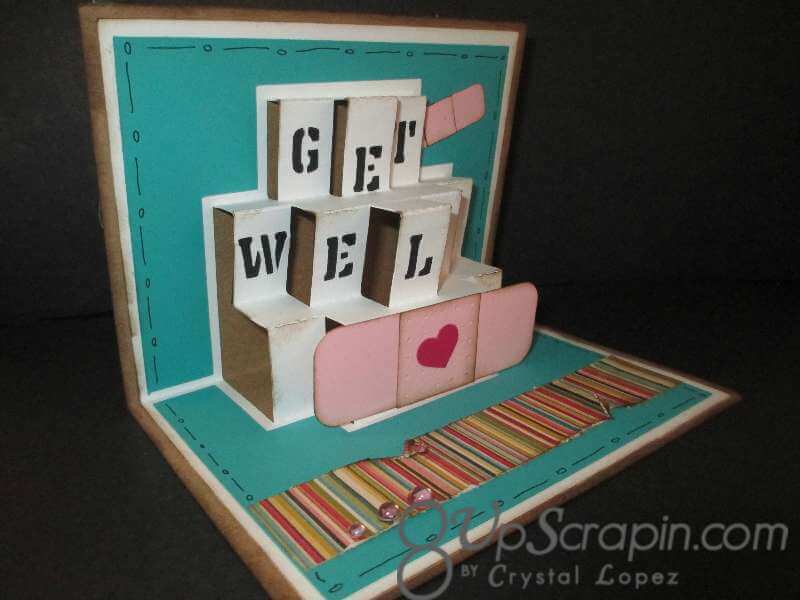 last time I used this image I created this card — click here — and I made him orange tiger stripe , thx for stopping by and I hope you can join us in this challenge , I would love to come visit your blog and see what you create .